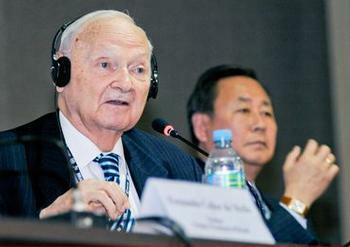 PARIS, France, December 8, 2015 (ENS) – Urgent as the Paris climate conference is, the delegates paused today to pay tribute to the life, vision and accomplishments of Maurice Frederick Strong, who passed away November 28, on the eve of COP 21. Strong, a visionary Canadian oil and mineral businessman and a diplomat, was the founding executive director of the UN Environment Programme, UNEP, and was secretary general of the UN’s 1972 Stockholm Conference. As executive secretary of the 1992 Earth Summit in Rio de Janeiro, Brazil, Strong played an important role in raising global environmental consciousness, and his contributions to combating climate change and efforts leading to COP 21 were pivotal. “Strong will forever be remembered for placing the environment on the international agenda and at the heart of development,” said Steiner. Tributes in Paris were led by Canadian Environment and Climate Change Minister Catherine McKenna and UNFCCC Executive Secretary Christiana Figueres as well as Strong’s close collaborators and friends David Runnalls and Michael Zammit Cutajar. Strong was born on April 29, 1929 in Oak Lake, Manitoba, a prairie town on on the mainline of the Canadian Pacific Railway. He got his start as an entrepreneur in the Alberta oil patch and was president of Power Corporation of Canada until 1966. 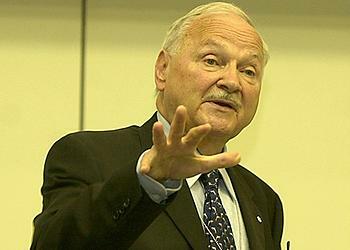 In 1968, he directed the founding of the Canadian International Development Agency. In the early 1970s he was Secretary General of the United Nations Conference on the Human Environment and then became the first executive director of the United Nations Environment Programme. In 1971, Strong commissioned a report on the state of the planet, “Only One Earth: The Care and Maintenance of a Small Planet” co-authored by Barbara Ward and Rene Dubos. The report summarized the findings of 152 leading experts from 58 countries in preparation for the first UN meeting on the environment, held in Stockholm in 1972. This was the world’s first “state of the environment” report. The Stockholm Conference established the environment as part of an international development agenda. It led to the establishment by the UN General Assembly in December 1972 of the United Nations Environment Programme (UNEP), with headquarters in Nairobi, Kenya, and the election of Strong to head it. UNEP was the first UN agency to be headquartered in a developing country. As head of UNEP, Strong convened the first international expert group meeting on climate change. 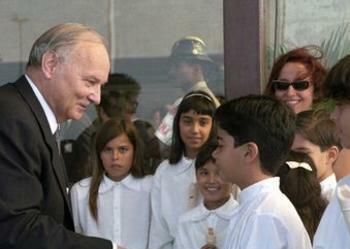 He returned to Canada to become chief executive officer of Petro-Canada from 1976 to 1978. Strong headed Ontario Hydro, one of North America’s largest power utilities, was national president and chairman of the Extension Committee of the World Alliance of YMCAs, and headed American Water Development Incorporated. He was recognized by the International Union for Conservation of Nature, IUCN, as a leader in the international environmental movement. According to Strong, participants at the 1992 Rio Earth Summit adopted sound principles but did not make a commitment to action sufficient to prevent global environmental tragedy, committing to spend less than five percent of the $125 billion he felt was needed for environmental projects in developing nations. After the Earth Summit, Strong continued to take a leading role in implementing the results of agreements at the Earth Summit through the establishment of the Earth Council, acting as co-chair of the Earth Charter Commission at the outset of the Earth Charter movement, chair of the World Resources Institute, and membership on the boards of the International Institute for Sustainable Development, the Stockholm Environment Institute, The Africa-America Institute, the Institute of Ecology in Indonesia, and the Beijer Institute of the Royal Swedish Academy of Sciences. Strong was president of the Council of the University for Peace from 1998 to 2006. Strong was a longtime foundation director of the World Economic Forum, a senior advisor to the president of the World Bank, a member of the International Advisory of Toyota Motor Corporation, the Advisory Council for the Center for International Development at Harvard University, the World Business Council for Sustainable Development, the IUCN, the World Wildlife Fund, Resources for the Future and the Eisenhower Fellowships. His public service activities were carried out on a pro bono basis made possible by his business activities, which included the chairmanship of the International Advisory Group of CH2M Hill, Strovest Holdings, Technology Development Inc., Zenon Environmental, and most recently, Cosmos International and the China Carbon Corporation. 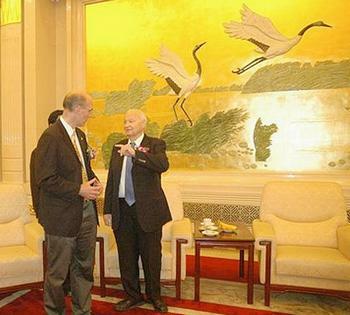 More recently Strong was an active honorary professor at Peking University and honorary chairman of its Environmental Foundation. He was chairman of the advisory board for the Institute for Research on Security and Sustainability for Northeast Asia. Strong died on November 27, 2015 at age 86 in Ottawa, Ontario, Canada. Copyright Environment News Service (ENS) 2015. All rights reserved.